Sherline Dare was arrested; police are still looking for her husband. Authorities recovered nearly 1,500 budding marijuana plants from a New Jersey home in what they're calling one of the biggest pot seizures in Essex County history. 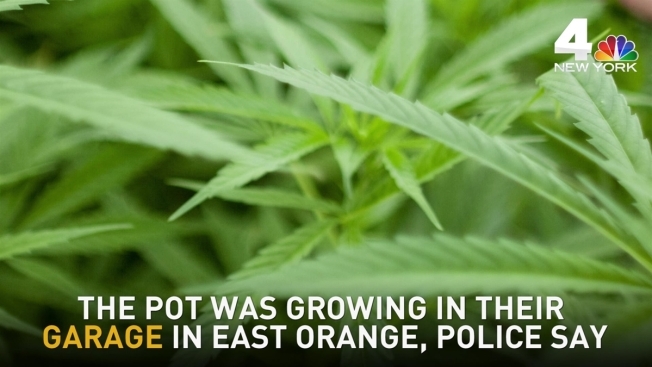 Sherline Dare, 37, and her husband, 41-year-old Densley Lawrence, allegedly ran the pot growing operation, which officials estimate was worth about $3 million, out of their single-family home near Springdale Avenue in East Orange. Cops found the pot plants in the couple's four-car garage Thursday after responding to a report of an "incident" in the backyard, authorities say. Dare was taken into custody at the scene and faces an array of charges related to the maintenance and operation of the alleged "marijuana farm." Authorities say her home is within 1,000 feet of a school and within 500 feet of a public park, which adds to the charge list. Dare's husband is wanted on the same charges, police say; a warrant has been issued for his arrest. Another man was arrested at the scene Thursday as well; he allegedly was parked in front of Dare's house and had more than $1,700 in cash and pot in the vehicle. "Grow houses like these often go unnoticed, even by next-door neighbors," Essex County Public Safety Director Sheilah Coley said in a statement. "This was a high-tech, high-level marijuana-growing operation, the size of which I have not seen in my over 25 years in law enforcement."